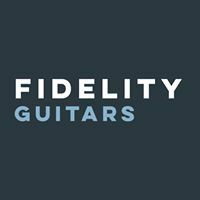 Fidelity Guitars are friends of Break The Machine, and produce high quality, handmade guitars right here in the UK. With designs that are influenced by the best elements of classic instruments from every era of the electric guitar, brought together to form something new and exciting. All of their guitars are handcrafted one at a time by Matt (owner and luthier) at their workshop in Cambridge. 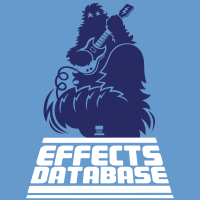 Effects Database is like an encyclopedia of pedals. It is an absolutely brilliant online resource for anyone interested or manufacturing effects units. It is an exhaustive site which contains brand interviews, descriptions and photos of some very rare pedals and plus lots more. The site is a credit to its creator, Bart Provoost. Check them out at www.effectsdatabase.com as soon as you can. Vinyl Tap are an online and high street record shop for record collectors and music lovers, specialising in buying/selling rare collectables of CDs, vinyl, promos, hard to find out of date rarities and music memorabilia. They have a huge database and also have a couple of great high street shops, one in Huddersfield and another near Barnsley. Dipswitch Demos are one of the best pedal and guitar based demo sites on the internet, period. Owned by Jackson, who has been playing guitar since he was 11 years old, Dipswitch Demos offer informative and high quality demo’s of pedals, guitars and pretty much anything else guitar related. Please check out their YouTube channel out here and enjoy their videos throughout this site. PedalPatch was formed in 2018 to give musicians a one-stop shop for patch cables and pedalboard wiring supplies. Their main aim is to provide a cheaper alternative to the solderless patch cable products already on the market, while still offering a great quality, easy-to-use product. As many guitarists know, it can be time-consuming, not to mention expensive, to source low-profile, customisable cabling. With pedalboard real estate always at a premium, let us help you maximise space by providing everything you need, in the quantities you want, to cable your rig in the most efficient way possible – and at a much less eye-watering price! Heavy Repping is the best damn plectrum blog on the internet, run by guitar and pick expert, John Tron Davidson. John also writes blogs for us here at Break the Machine, so head over to our Machine Bites page to see them.